Founded in 1911 as the Legal & Economic Society, the prominent professor and politician, J.G. Swift McNeill, gave the inaugural address. Early committee members included Thomas Kettle, Conor Maguire, Thomas Arkins and Arthur Cox. During its initial years The Society ran a number of small legal debates, however maintaining its level of activity during the War of Independence and Civil War became difficult. After being renamed the Legal Society in 1924 under the auditorship of J.C. Flood, the Society experienced a brief resurgence of activity. 1926 however proved troublesome, and the Society once again ran into difficulty. Not until 1935, did the Society revive on firm footing. 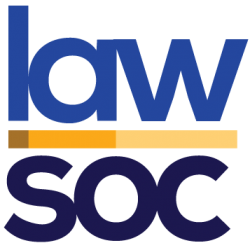 Reconstituted to be known as the Law Society, it was tasked with organising legal debates, and serving the interests of law students. Throughout the 1950s and 1960s, the Society began to challenge the Literary & Historical Society for dominance in University debate. A debating tour to Universities in Britain was organised annually, with team places much coveted. The tour eventually ceased in Colm Allen’s session due to security concerns following IRA violence in the Troubles. In the 1970s the Society achieved unprecedented debating success. Following its recognition as an individual University debating institution for the purposes of national and international competition, it won the Irish Times Debating Competition twice in the 1970s as well as the Irish Mace, both times with Auditor Conor Gearty. It continued this success throughout the 1980s and 1990s as the society won the Irish Times twice more. The 1980s and 1990s also saw an increase in the scale of the Society’s activities as it began to host larger and more exciting debates. The notorious criminal, Martin Cahill, addressed the Society in 1987 and for many years the Society held the Guinness World Record for the longest ever continuous debate. It wasn’t until the 1990s that the Society expanded its membership to beyond merely law students, reaching across campus to all faculties. It has since experienced massive growth, to become one of the most popular Societies in UCD amongst the entire student body.